A super-absorbent formula that eliminates oils, dirt, and impurities in between washes, leaving hair fresh and clean. Detox Dry Shampoo Lush is the same great formula as the original Detox Dry Shampoo-now in a lush new scent featuring violet, sandalwood, and musk. The super-absorbent Dry Shampoo contains micro-fine rice powders that become translucent as they absorb to naturally blend with hair colors and expand to provide lift in the roots. Golden root extract increases moisture to prevent dryness and breakage for a healthy look. 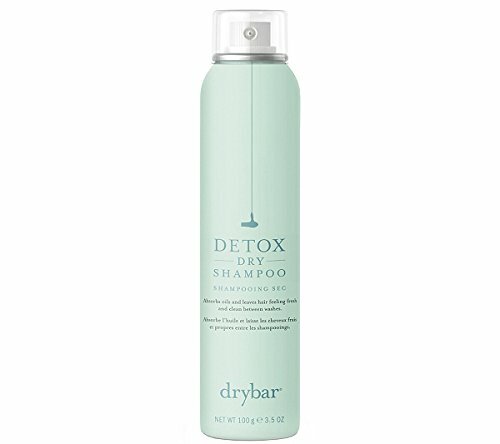 If you have any questions about this product by Drybar, contact us by completing and submitting the form below. If you are looking for a specif part number, please include it with your message.